The Yachting industry has been through a tremendous period of upheaval in recent years brought about by a combination of legislative change and the growth in the size of yachts. These factors have combined to place even more emphasis on the employment of crew than ever before. What the legislation ( MLC2006, social security etc) and the increased yacht size have done between them is to clarify employment matters in many ways, although the French Social Security issue and clarity do not sit well together in the same sentence! The clarity comes from the fact that MLC yachts have to comply with the requirements of that legislation in respect of the crew, including appropriate certification and social security obligations. The recent French social security changes have gone a long way to highlighting the fact that the days of crew being on Gross Pay through choice are numbered. There may be occasion when a liability exists but for various reasons that liability is zero, particularly when it comes to income taxes which is a different set of rules to social security in most jurisdictions. The industry is beginning to accept that liabilities exist and it is incumbent upon employers to ensure that where a liability or reporting requirement is identified then it is adhered to. The authorities are aware of the fact that there is a working population, a high percentage of whom, are probably not making contributions to any system anywhere. Selling the concept of pensions and social charges to young fit people who think they will live the dream forever and save enough money for their retirement is a challenge that has to be addressed. In the overall scheme of things what does contributing to future security really cost? 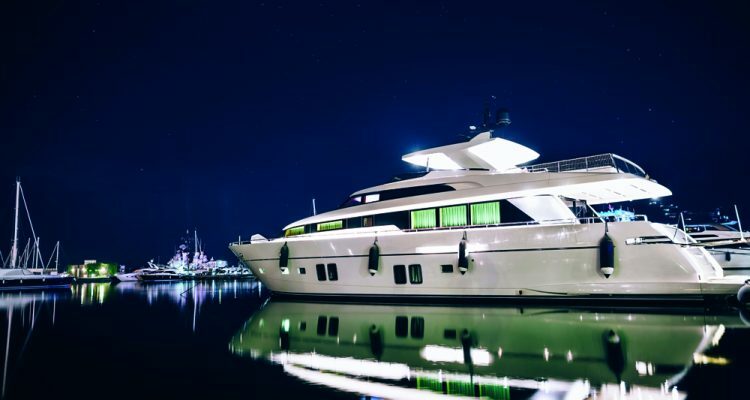 One single fact to concentrate the mind is that wherever the employer is based, if the Revenue authorities decide there is an unpaid liability they will pursue whatever asset is close to hand and easy to challenge, ultimately a Manager, Owner or Yacht itself. A reputable employment company has to take onboard their legal obligations as an employer and ensure that all legislation relating to that particular employment situation is adhered to in full. The employer has a responsibility to protect their clients by ensuring any employment structure is robust and cannot be challenged easily and if it is, be able to defend that challenge. The employer has to protect their clients from employment issues that may arise and ensure that by following the correct process any potential liabilities are removed or limited. Being an employer isn’t easy and at Voyonic Crewing Limited all of our operations staff are trained in HR management and payroll so that they are able to provide support and guidance to Owners, Captains and Managers and ensure that employment issues are resolved effectively. Individuals themselves have a responsibility to think about their own future and how that may change one day. A partner and family suddenly changes priorities and needs for the future. There are ways of satisfying a legal obligation at minimal cost, especially since most seafaring nations understand and have in place special laws for Mariners e.g. seafarers earnings deductions (183 Day rules), reduced contribution rates, pension schemes etc. Effective planning saves money. That planning has to include the flag of a vessel, the location of that vessel, crew rotations, where the employer is based, nationality of crew and payment currency to name but a few. Voyonic have recently introduced an app specifically to assist Mariners and other regular travellers to record their “tax days” securely. Details of this app can be found on our website www.voyonic.com or indeed that of our partner company, Aspire Corporate Services Limited at www.acsltd.gg , Aspire are licensed to provide individuals and companies, tax and social security advice.